The Western Cape Department of Agriculture (WCDoA) and its implementing agency, Casidra, continue to roll out the Comprehensive Agricultural Support Programme (CASP) successfully to the poor communities within the Province. Since the inception of the CASP Programme more than 10 years ago, we have seen a rapid growth in terms of the number of farmers who have benefitted from CASP funding in the Western Cape. From January until March this year, the following projects were selected, and successfully implemented and completed by Casidra with funding allocated by the WCDoA. 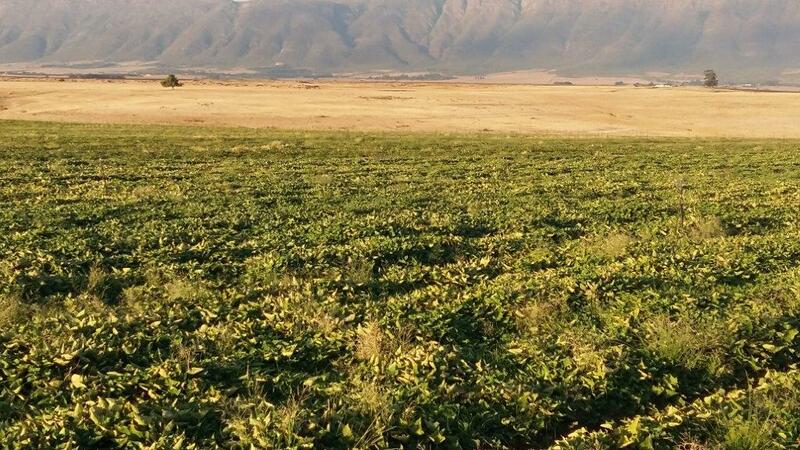 The Half Oak Farming Project, situated near Porterville in the West Coast region, is an equity project for the Workers’ Trust who owns 60% shares, while the commercial partner owns 40% shares. 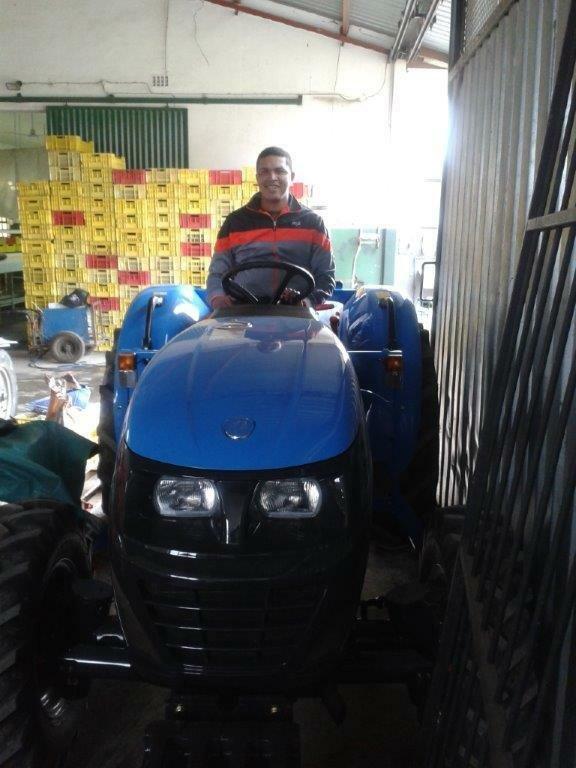 The Workers’ Trust leases the land from the equity partner and also receives mentoring and the use of machinery for production practices from its shareholder. The project aimed to create space of value with previously disadvantaged individuals as co-owners, where education and training in the farming industry can make way for conception and rebirth. The project has good intentions to empower its loyal farm workers by creating opportunities for them and their families to eventually run a farming business on their own. At the beginning of the last year, the WCDoA made its contribution by funding this project through its Vegetable Commodity Project Allocation Committee. The funds received were spent on the production of 10 hectares of sweet potatoes. According to Casidra’s Project Manager, Gerrit van Schalkwyk, the funds were used for the construction of a dam, irrigation system installation and purchasing of production inputs such as seeds, fertilizers and pesticides, as well as diesel. This farm has proven to have a high potential of economic growth and sustainability. It consists of 240 hectares of land of which 80 hectares are arable land for irrigation purposes and has water rights for the 80 hectares, while 160 hectares consist of wheat- lands which can be used for grazing. Furthermore, it has a highly skilled farming team, which includes a mentor, farm manager and general workers. It is anticipated that 20 employees will be required during the first year and will increase to approximately 100 employees once crops have a more permanent nature. Casidra successfully completed the implementation of this project towards the end of February 2015. Casidra wishes all of the various projects’ beneficiaries well with their farming endeavours. Alpha Denau is a Viticulture (Table Grape) farm situated in De Doorns with previously disadvantaged beneficiaries. An amount of R1,291 million was approved for this project during the WCDoA’s Table Grape Commodity Project Allocation Committee meeting in March 2013. As the implementing agency of the project on behalf of the WCDoA, Casidra used these funds to procure a new vehicle (Bakkie), a new 4×4 orchard tractor, the installation of a security fence and the repair of a cement dam, which has enabled the project to successfully maintain their 15 hectares of table grapes. Alpha Denau was successfully completed and assets were well received. JJ & Sons Honey Bee Business is an excellent honey bee-keeping project situated in the Kouebokkeveld in the Witzenberg municipal area. The success of this proudly black-owned project is due to the hard work and determination by these previously disadvantaged individuals who are making a living for their families. 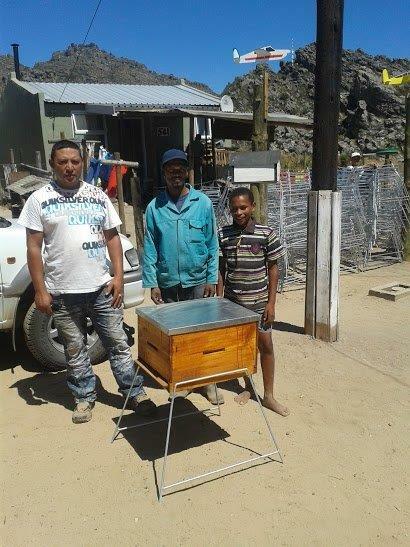 This project was funded with R258 000 during the Department Project Allocation Committee meeting at Elsenburg in August 2013 to procure beehives (containers), beehive stands, queen excluders, protective clothing and other essential equipment. JJ & Sons Honey Bee Business has been involved in beekeeping operations for a number of years and has farmed with 170 beehives. The beneficiaries required additional beehives so that they could be efficient and effective when rendering pollination services to fruit farmers in the region. The project was successful, but not viable due to the old beehives, which needed to be replaced, as they did not meet the industry norms of at least 400 operating beehives. Therefore, more funding was required to sustain the project. Casidra’s Project Manager, Khaya Dzula, did not waste any time once the funds were approved and got the beneficiaries to sign a Memorandum of Understanding to start implementing the project. Dzula requested the quotations for beehives (containers), protective clothing, queen excluders and beehive stands, sourced from various service providers and suppliers in the nearby surrounding areas. Due to the required number of beehives being higher than the funds received, only 135 beehives (containers) could be procured. Dzula reported that the funds were effectively utilised according to the budget although not all the items were procured as per the quantities needed by the project. “The beneficiaries expressed their appreciation for what they received”, he concluded.